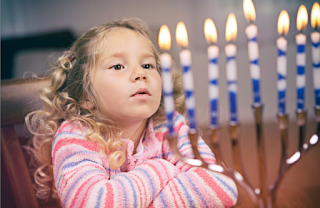 The Jewish festival of Hanukkah starts this Saturday evening. Many Christians don’t know the history behind Hanukkah—I’m afraid we sort of think of it as “the Jewish Christmas.” This is not fair at all. It’s a timely and important story of heroes of the faith. The story also holds a surprising number of ingredients in common with our Thanksgiving. The story unfolded in the second century before Christ. It's told in the books of 1 and 2 Maccabees, which are considered canonical in several orthodox Christian denominations. Like King James in the Thanksgiving story, the Hanukkah story also starts with a despot. Seleucid emperor Antiochus Epiphanes wanted to see his entire kingdom unite under a single religious system—that of Hellenistic Greece. Israel was included at that time in the Greek Seleucid Empire, which stretched across modern Lebanon, Syria, parts of Jordan, Turkey, Iraq and Iran. The ultimate outrage took place when Antiochus set up an altar to the Greek God Zeus in the Temple in Jerusalem, and sacrificed an unclean animal, a pig, in the sanctuary. The Greeks had overrun Israel more than a hundred years earlier and many Jews bought into Greek culture. As was also the case in King James’ seventeenth-century England, Antiochus found plenty of people who were willing to blow with the prevailing winds of culture. Antiochus appointed Jews to the priesthood who would go along with his idolatrous system, in place of any Aaronic priests who resisted him. But as was the case with the seventeenth-century Pilgrims, a remnant of Jews stood determined to stay faithful to God’s word. Jews who wished to keep God’s law hid in the wilderness and many suffered martyrdom. A priest named Mattathias fled Jerusalem with his five sons and settled in Modiim, a small town near Jerusalem. In 167 B.C., Antiochus’ soldiers arrived there and tried to pressure Mattathias into making a detestable offering to the Greek deities. He refused. Mattathias led an uprising against the Antiochus’ soldiers, and an armed resistance movement was born. For the Hebrew Maccabees—as for the Plymouth Pilgrims—the cost of faithfulness was real. After this, the sons of Israel went up to the Temple and rebuilt its gates and purified the Temple from the dead bodies and from the defilement. Once the Maccabees won their Temple back, they had to return it to a state of ritual purification. This was no small task. And they sought after pure olive oil to light the lamps therewith, but could not find any, except one bowl…. There was in it [enough oil] to light [the lamps therewith] for one day, but the God of heaven whose name dwells there put therein His blessing and they were able to light from it eight days. 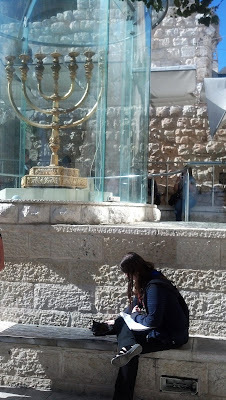 This is my photo from our first trip to Israel. I find it funny that our then-teenage daughter hasn't even noticed the magnificent menorah. She's more intent on befriending the kitty! The dreidel game is basically gambling for chocolate coins, and it is fun with kids the right age! 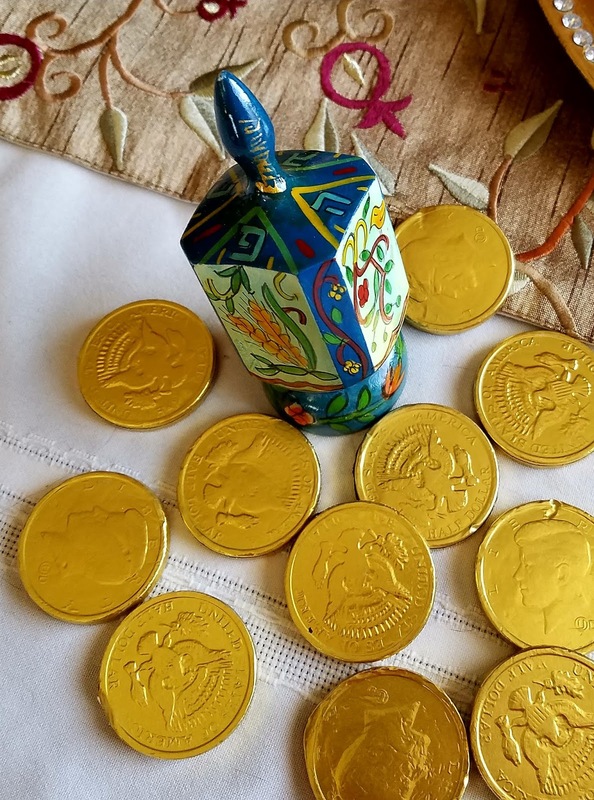 The Hebrew letters that mark the four sides (they're painted on the top of this dreidel) are an acronym for "A Great Miracle Happened Here." 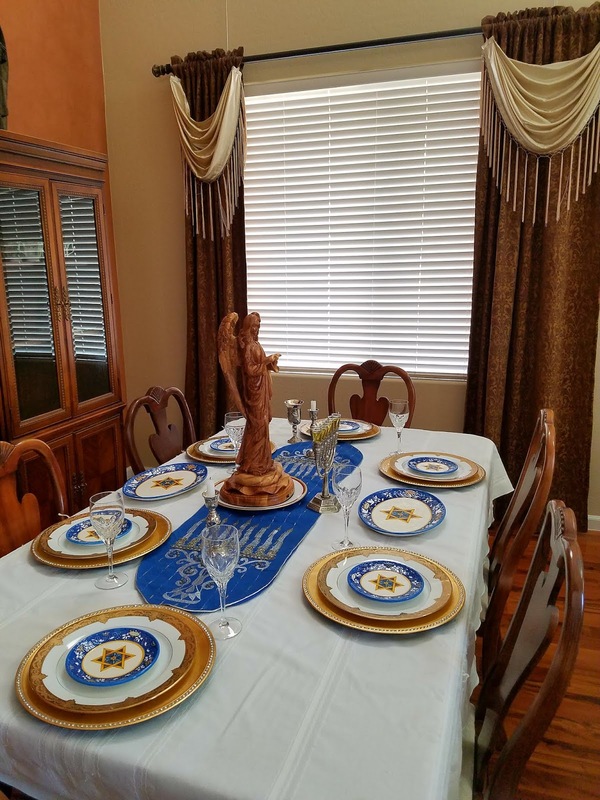 When they were able to resume the sacrifices commanded in the Torah, Judas Maccabeus declared an annual eight-day festival. Now Judas celebrated the festival of the restoration of the sacrifices of the temple for eight days…. he feasted them upon very rich and splendid sacrifices; and he honored God, and delighted them by hymns and psalms. Sound a bit like the Pilgrims’ feast? Only grander and longer? Therefore, the sons of Ḥashmonai made this covenant and took upon themselves a solemn vow… that they might observe these eight days of joy and honour… so as to make known to those who come after them that their God wrought for them salvation from heaven. As for the Maccabees, they formed a new Hasmonean dynasty that ruled Israel for nearly two hundred years. Sadly, like virtually all human institutions, it eventually went south—it brought the Herods to power. My debut novel inspired by the Doolittle Raid is finally here! “A taut, crisp debut achievement that colorfully evokes the Pacific theater of WWII. Start this one forewarned: it's a stay-up-all-night read." A Prostitute Seeks Her Revenge--In 1942, Miyako Matsuura cradled her little brother as he died on the sidewalk, a victim of the first U.S. bombing raid on Japan. By 1948, the war has reduced her to a street-hardened prostitute consumed by her shame. A Doolittle Raid Hero Finds His True Mission--Dave Delham makes military aviation history piloting a B-25 in the audacious Doolittle Raid. Forced to bail out over occupied China, he and his crew are captured by the Japanese and survive a harrowing P.O.W. ordeal. In 1948, he returns to Japan as a Christian missionary, determined to showcase Christ's forgiveness. Convinced that Delham was responsible for the bomb that snuffed out her brother's life, Miyako resolves to restore her honor by avenging him--even if it costs her own life. But the huntress soon becomes hunted in Osaka's treacherous underworld. Miyako must outmaneuver a ruthless brothel owner, outwit gangs with competing plans to profit by her, and overcome betrayal by family and friends--only to confront a decision that will change everything. I stepped away from a marketing career that spanned continents to write what I love: stories of reckless faith that showcase God's hand in history. I'm so excited to work with the all-star team at Mountain Brook Ink to launch my debut novel, The Plum Blooms in Winter, on December 1! 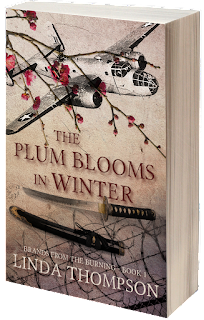 Inspired by a remarkable true story from World War II's pivotal Doolittle Raid, The Plum Blooms in Winter is an American Christian Fiction Writers' Genesis Contest winner. The novel follows a captured American pilot and a bereaved Japanese prostitute who targets him for ritual revenge. 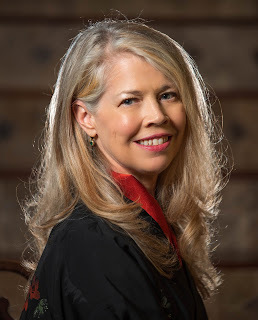 Please also feel free to check out my blog, Five Stones and a Sling, which hovers in the region where history meets Bible prophecy meets current events. It's rich ground--we live in a day when prophecies are leaping from the Bible's pages into the headlines! I live outside Phoenix with my husband, a third-generation airline pilot who doubles as my Chief Military Research Officer. We share our home with two mostly-grown-up kids and a small platoon of housecats. When I'm not writing, you'll find me rollerblading--yes, I know that makes me a throwback 😊--or catching a moonrise, or dreaming of my next trip. Next up: Wales, then Israel. Thank you, very much, Betti, for reading and for taking a minute to leave a kind word! A lovely post. I learned a few things I didn't know. That the Herods descended from the Macabbees. And that the Bible indicates that Jesus celebrated Hanukkah. I'm so glad you shared this. This is a well written post rich in historical detail, Linda. I learned much from reading it. My daughter-in-law and her family celebrate Hanukkah. Your debut based on a true story from WWII sounds like one I'd enjoy. All the best on the release of The Plum Blooms in Winter. So excited for you.